Vote for the 2017-2019 BALIF Board of Directors! 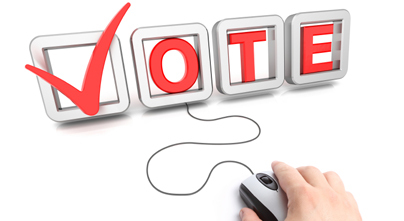 All BALIF members should have received an online ballot on April 3. Voting will be online until 4 pm on April 13. You can also vote in person at the Annual Meeting and Election Happy Hour at the Sausage Factory on April 13. If you haven't received a ballot, email balif@balif.org. Don't forget to vote! Elections will be online from April 3 until 4 pm on April 13. You can also vote in person at the BALIF Annual Meeting and Election Happy Hour on Thursday (April 13) at the Sausage Factory from 6 - 8:30 pm. In-person voting will end at 7 pm, and the election results will be announced at the end of the meeting.